Things You Can't Miss In Koh Samui, Thailand. You want to spend a luxurious vacation on Koh Samui and this is the first time you visit there. The best way to make your journey great is finding out the best things you can't miss in Koh Samui. Besides visiting the most popular sights and taking part in activities you may also learn how to relax the way you have never ever relaxed in your whole life. Our guide will also give ideas where to stay in Koh Samui. So, keep on reading to get your travel inspiration from the tropical Thai island of Koh Samui. 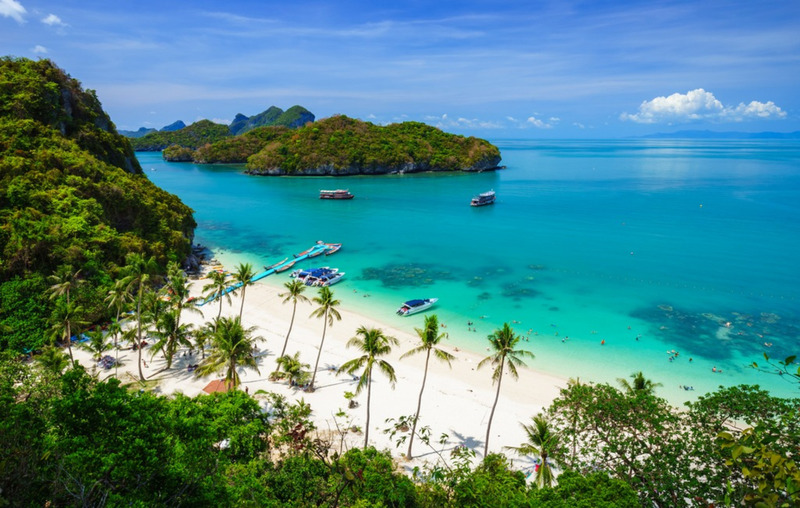 Dreamlike Nature and Beaches Thus, the first thing you can't miss in Koh Samui is its dreamlike nature and long beaches. This is the place where you can find both many quiet and calm beaches and active, vibrant ones. Depending on what you are looking for a perfect rest you can decide where to stay. Chaweng and Lamai Beaches founded in the east of the island are the best options to make your choice between. Travelers seeking for calmer beaches may prefer the Bophut or Maenam Beach. One can even find lonely beaches on Koh Samui such as the Bang Por Beach. As for nature, it's tropical, wild and relaxing at the same time. The stunning waterfalls, deep woods, and fresh air all around the island are the coolest things to enjoy for free. Whether you are into hot nightlife with crazy parties, hedonistic party atmosphere, plenty of extravagant activities or are looking for peaceful isolation and a traditional feel every beach on Koh Samui offers something different that you won't see on another part of the island. Chaweng beach, for instance, is perfect for people who love to party, who want to experience everything in one place, couples, young travelers, families, and group of friends. The best things in Chaweng are the wide range of hotels, dining and shopping prices, nightlife and the convenient for the airport. The main disadvantages are it's being crowded in high season and the noise. The Lamai beach, on the other hand, is for budget-conscious holidaymakers, families, and travelers who prefer a good but not hectic nightlife. The best things in Lamai are shopping and nightlife entertainment options, plenty of restaurants and affordable range of hotel prices. Between the main disadvantages, you may face the difficulty of the access to the beach as well as intense traffic. Massage in Koh Samui Never miss the chance of having a healing and relaxing massage on Koh Samui. It's perhaps one of the most important things you need to have in your travel plan. You will never ever feel the same enjoyment on any other beach. Koh Samui spa services and massages are ideal especially when they take place just near the sea. Thai massage is popular all over the world and the idea to enjoy it just on Koh Samui is great. Professional and trained masseuses will welcome you everywhere with wide smiles. Amazing viewpoints you can't miss in Koh Samui Finally, you get the great opportunity to see amazing viewpoints as the highest things you can see on the island are the huge palm trees. There are no skyscrapers that will forbid you to feel the breathtaking beauty of the Samui Viewpoint between Chaweng and Lamai, Wat Rattanakosin, the Khao Hua Jook pagoda and many other places.